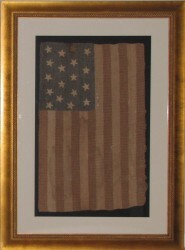 36 STAR CIVIL WAR FLAG made of starched gauze. 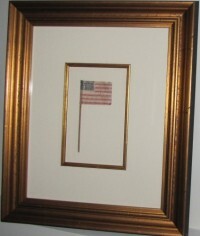 The flag is pressed stenciled. 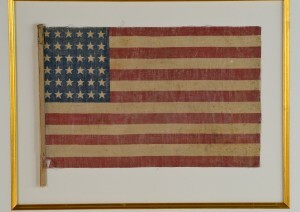 Called a parade flag or flag waver. 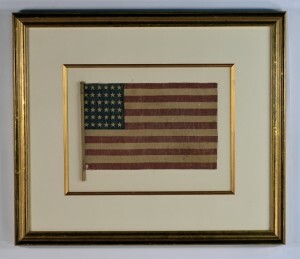 Circa 1864-1867 Abraham Lincoln was President. 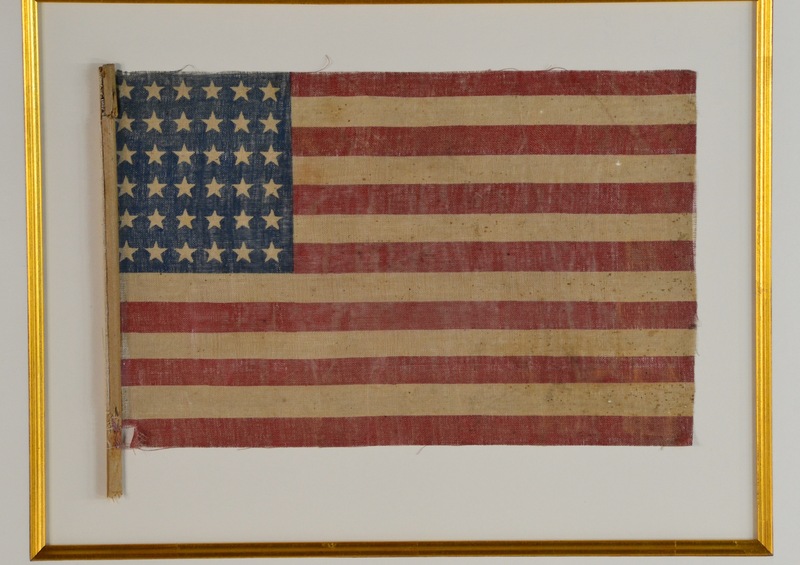 The 36th state, Nevada, entered the Union during the Civil War on October 31st, 1864. The last Confederate general surrendered on May 26th, 1865. 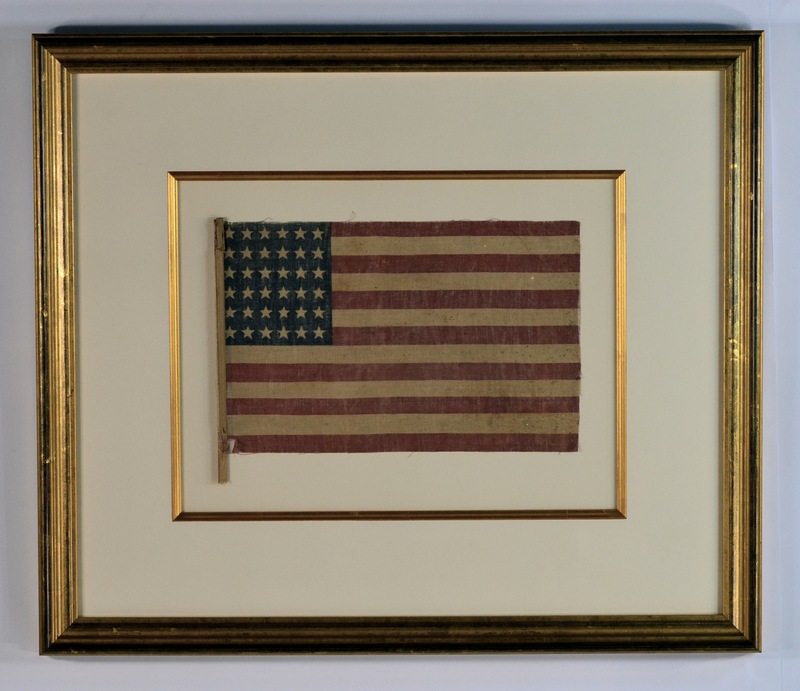 The 36 star flag became official on July 4th of that year, but makers of printed flags would have begun adding a 36th star to their flags in 1864, even before the addition of the new state. 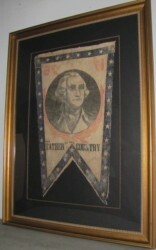 Framed using museum quality framing and UV acrylic. White gloves are used in the process to maintain pristine condition. 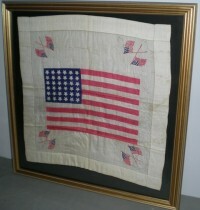 Bring a piece of American history home and display with museum quality. Every item is safe with in an acid free, smoke free atmosphere and pristine conditions.